Harare - Some animals are more equal than others. Former cabinet minister in the Robert Mugabe government, Ignatius Chombo was sentenced to five days in prison for default of court. Harare Magistrate Hosea Mujaya sentenced Chombo to five days in prison after he failed to attend court to respond to an array of charges which include fraud and criminal abuse of office. 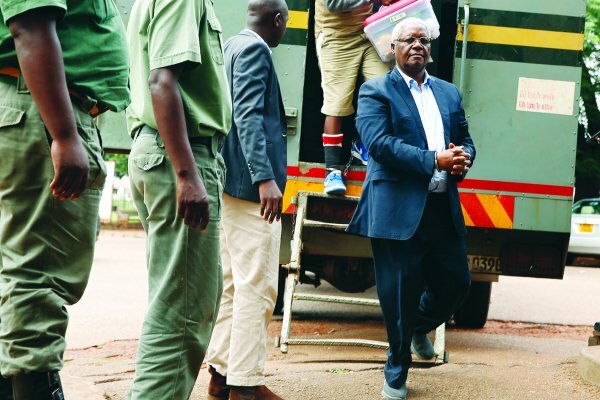 However, Chombo was given the option to avoid being incarcerated. All he needed to do was to pay a $30 fine instead. Chombo’s lawyer, Professor Lovemore Madhuku, took the bullet for his client after he told the court that it was his fault that Chombo had missed court. According to 263Chat, Madhuku told the court that he was responsible for his client's absence. "The accused person was in default unwillingfully (sic) but it was due to the negligence of his lawyers who did not check the records. "The accused was in South Africa on appointment with his doctors. From the previous record, he was given his passport back to go to South African for medical attention." After Madhuku’s plea, Harare magistrate Rumbidzai Mugwagwa cancelled the warrant of arrest which had been issued for Chombo. He ordered the former minister to surrender his passport back to the clerk of court. He was remanded to the 1st of February. Chombo was nominated as ZANU-PF's candidate for the House of Assembly seat from Zvimba North, in Mashonaland West, in the March 2008 parliamentary election. He won the seat with 6,784 votes in the initial count, defeating two candidates of the Movement for Democratic Change: Ernest Mudimu (MDC-T), who received 1,701 votes, and Magama Shelton (MDC-M), who received 944 votes. The MDC challenged this result, and a recount in April showed Chombo with an improved margin of victory: he gained 155 votes in the recount, Mudimu gained 13 votes, and Magama lost 28 votes.